How Can I Get a Copy of Someone's Taxes? There are only a few specific cases where one person is legally entitled to gain access to another person's tax returns. In those instances, the person requesting the other person's returns should state the reasons for her request clearly and provide verification that she is entitled to the information. 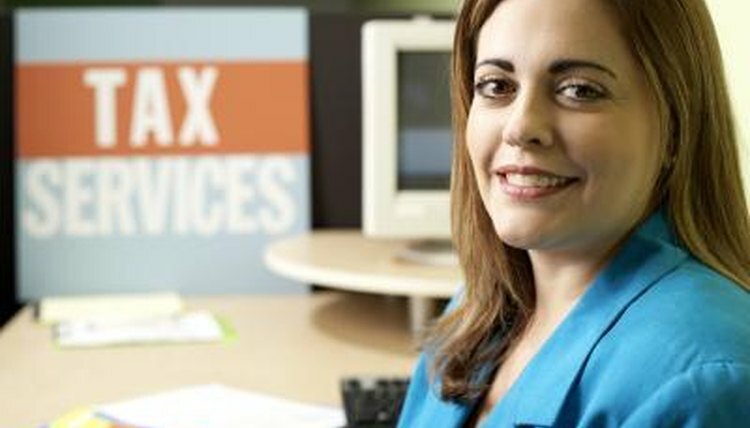 By following proper procedures, someone who has a legitimate necessity to see someone else's tax information will be able to obtain the information she needs. There are a few instances in which you are entitled to access someone else's tax returns: You are a spouse filing a joint return, a paid tax preparer or the executor handling the financial affairs of a deceased taxpayer. Tax returns can also be released with a signed authorization from the taxpayer--either a power of attorney (IRS Form 2848) or signed authorization for release of tax information (IRS Form 8821). In compelling instances, such as child support cases, a judge may issue a court order requiring the release of another person's tax returns. A spouse filing a joint return is automatically entitled to a copy of the return. The copy of the return is made upon request by the IRS. Records are generally kept for the previous three years. Paid preparers and estate executors may also request copies of tax returns to carry out their fiduciary duties to the taxpayer or estate. However, tax preparers and executors must present documentation of their status, such as letters testamentary for an estate executor, before tax forms can be released. In the case of a paid preparer, she must also present signed authorization from the taxpayer authorizing her access to his records. A taxpayer may also authorize any third party of his choice to access his tax returns. He may grant a power of attorney or submit authorization for release of tax information. A power of attorney filed with the IRS cannot be used as a general power of attorney. It will be valid only in matters directly related to the tax matters of the person granting permission to the third party. Any authorization granted to a third party may be revoked by the taxpayer at any time, with no need of an explanation. Blank, Chris. "How Can I Get a Copy of Someone's Taxes?" , https://legalbeagle.com/5809188-can-copy-someones-taxes.html. Accessed 19 April 2019.